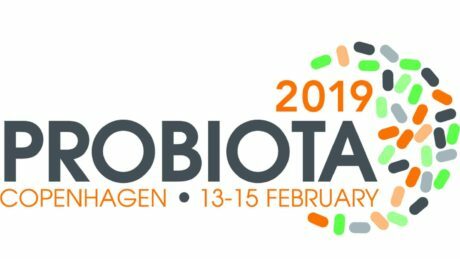 Montreal, Canada (February 8, 2019) Lallemand Health Solutions, a pioneer in probiotic solutions, is proud to be a Gold sponsor and roundtable contributor at Probiota Global 2019. The event takes place from February 13 to 15 at the Scandic Hotel in Copenhagen and focuses on the latest scientific, regulatory, and business news. Join our team of probiotic experts who will be there to discuss the latest probiotic research, insights, and technologies. They are excited to share the science behind our probiotic solutions and would be pleased to present the latest innovations in Gut Health, Immunity, Women’s Health, and Oral Health. We invite you to come by our booth to learn how working with a research-driven, vertically integrated manufacturer can provide the custom lab to shelf formulation solution you need. Meet and Mingle at the Welcome Reception. On Wednesday, February 13 at 18:10 p.m., meet and mingle with us at the Welcome Reception while viewing the Scientific Frontiers posters. We’re eager to learn about and discuss the new scientific findings being presented using our Lafti® or Rosell® strains used in pre-biotic, probiotic, and microbiome research. Speed network with us on Day 2! Spend time with us speed networking on Thursday, February 14 at 11:40 a.m. Our team will be participating in what promises to be a fun event. This is a great way to get to know us and learn more about our research, strains, and the ready-to-market probiotic solutions we offer. Join our Day 2 Roundtable Lunch. Discuss the latest psychobiotic advancements in the brain-gut axis. On Thursday, February 14, Elodie Aragon, Product Manager will host a roundtable lunch at 12:40 p.m. She’ll be discussing “Towards psychobiotics in the brain-gut axis.” which explores the latest clinical data on depression and psychobiotics including the impact of probiotics on the brain-gut axis and the psychological benefits they can deliver. Take advantage of this opportunity to discuss with like-minded scientists the latest advancements in this emerging field of probiotics. We’re looking forward to meeting you in Copenhagen.